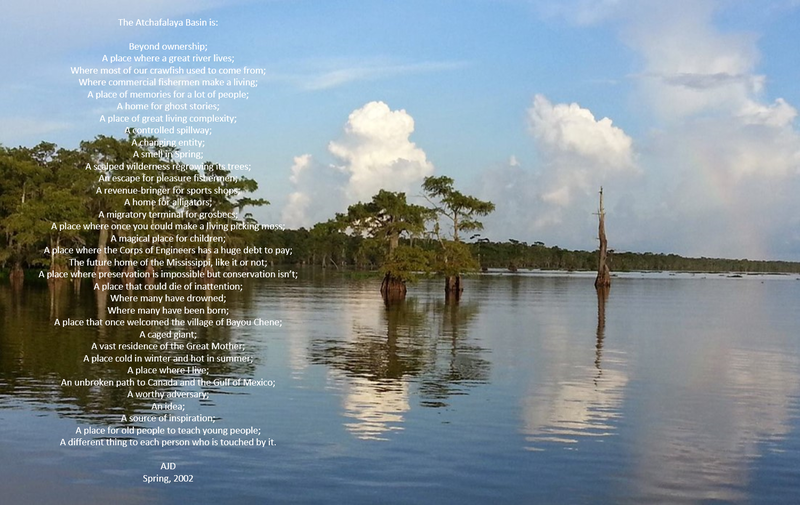 Therefore, we do hereby proclaim October 2017, Celebrate the Atchafalaya month. Geomorphology is the study of landforms, their processes, form, and sediments at the surface of the Earth. River basin s have a particularly geomorphology, Tributaries, Alluvial Valley, Deltaic plain and a receiving basin. Just remember, water runs downhill and you will be alright. The Mississippi River, with its sand and silt, has created most of Louisiana. 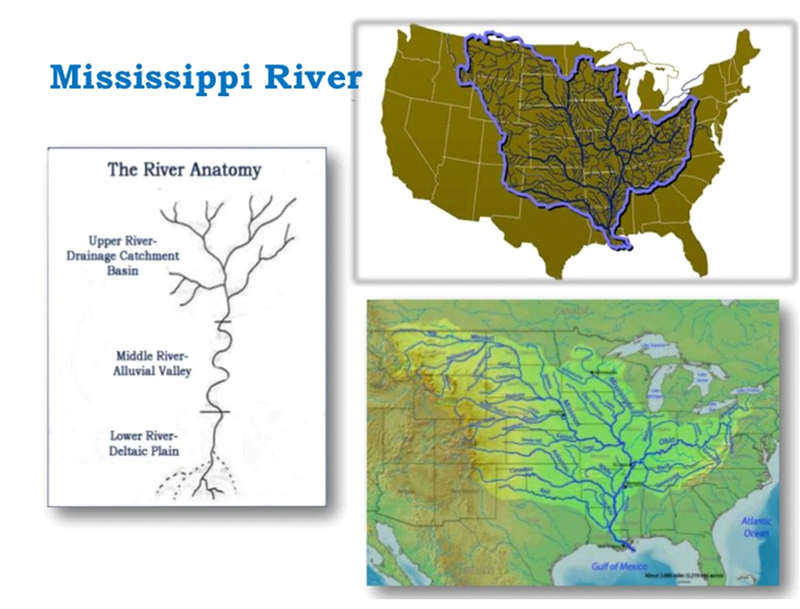 The Mississippi floodplain is more than 100 miles wide. 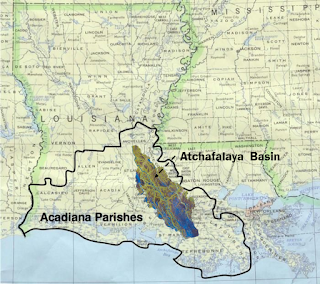 The Atchafalaya Basin lies at the very bottom of the Mississippi Watershed. It is part of the Mississippi’s lower river deltaic plain. 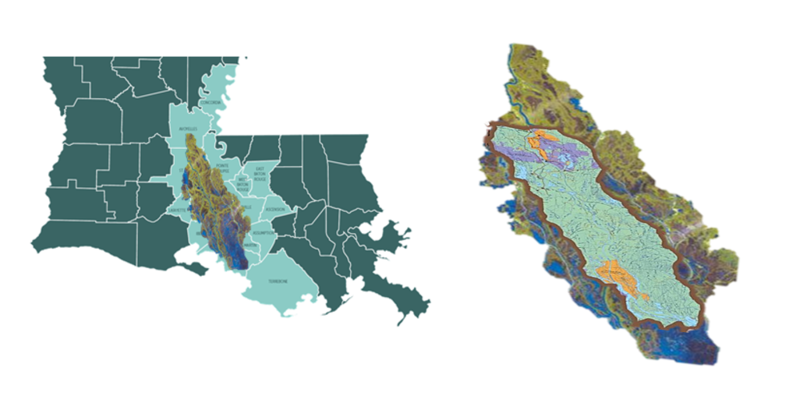 Located in south-central Louisiana, the Atchafalaya River Basin extends from the confluence of the Mississippi, Red and Atchafalaya rivers, near Simmesport, to the Gulf of Mexico near Morgan City. Situated in the heart of this natural basin is the 833,000-acre Atchafalaya Basin Floodway. 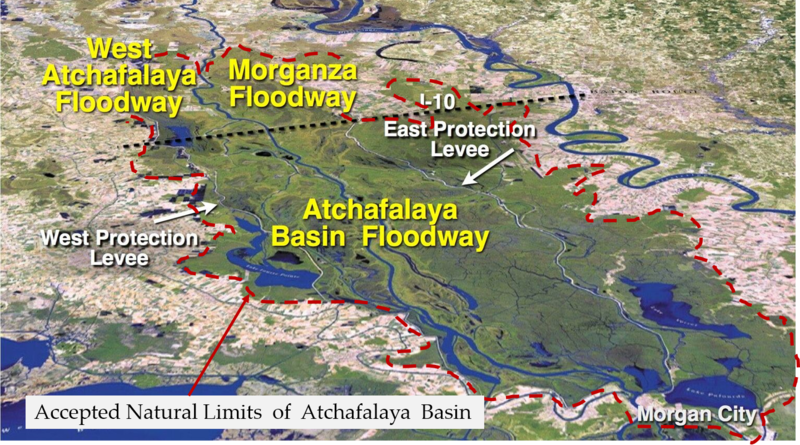 The floodway is about 15 miles wide and confined by the East and West Atchafalaya Basin Protection levees. The Atchafalaya Basin is the largest contiguous wetland and swamp in the United States. 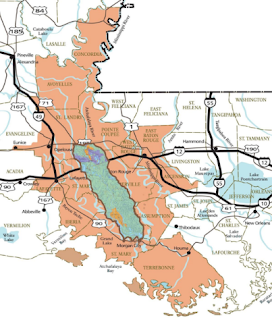 Located in south-central Louisiana, it is a combination of wetlands and river delta area where the Atchafalaya River and the Gulf of Mexico converge. 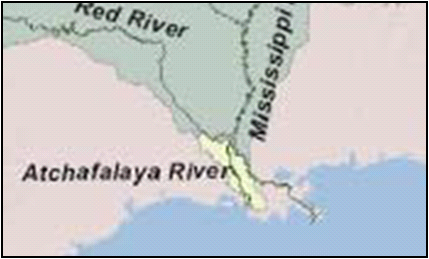 Officially, the State of Louisiana pronounces Atchafalaya – (ah-chafa-laya) It is the English version of a Choctaw Indian word “hacha falaia,” which means long river. The Atchafalaya Basin is one of the nation’s last great river swamps. 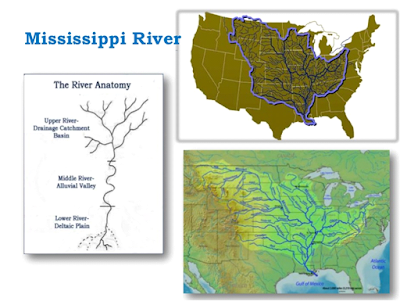 It is also a principle floodway of the Mississippi River and Tributaries Project. 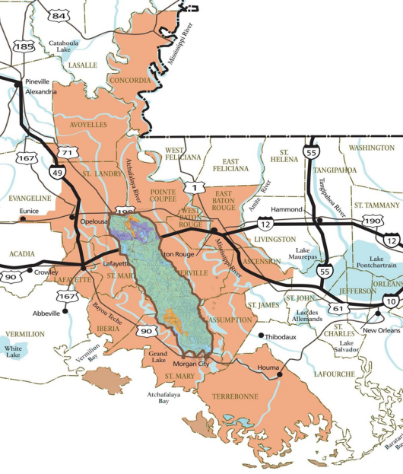 The New Orleans District, U.S. Army Corps of Engineers, maintains 449 miles of federal levees, 14 pumping stations, 15 drainage structures and four navigation locks. Their job is overseeing the basin and ensure it is able to remove flood waters and keep basin channels open for commercial barges and small boats. 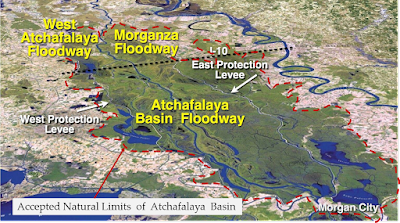 The Atchafalaya Basin is a term that is used in multiple contexts, a Natural Wetland Basin, a Floodway, and a Cultural Heritage Area. I am looking for a carver who sells his artwork of wildlife at different festivals. I saw his work a few years ago and want to know how to find him. He said he was from the bayou pigeon area. There is so much serenity in such places. Its so sad to know that how pollution and Other factors effecting mother nature. May we find some time to save the planet.